Docker erupted into the scenario in 2013 and since then it has created a buzz all around the IT circles. The solutions based on container technology provided by Docker is totally changing the way IT operations are carried out. In this blog, we are going to demystify one of the hottest technologies in DevOps (Development Operation) pipeline today. Suppose, you have built an application which works great on your development machine then you deploy it to QA machine or production machine & suddenly it doesn’t work there. Why? Big companies use container-based technology to run their business, they deploy over 2 billion containers across their data centers every week because it helps with continuous integration, delivery, portability & scalability of applications. So why are containers suddenly so popular, well Docker is the reason. Docker technology has become talk of the town because it helps to build any application in any language using any stack to run anywhere on anything. It basically helps developers to reduce dependency on various other components to run a specific software. 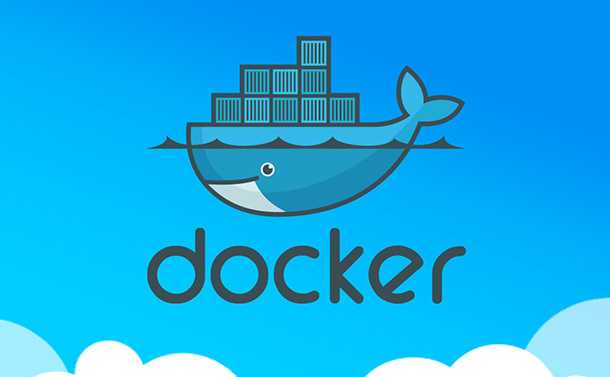 As aforementioned case, where the application was working in development machine but stopped responding as deployed in other environments, well Docker shines here to solve this issue by providing solutions to pack, ship and run any application as a self-sufficient container which can run virtually anywhere, irrespective of any environment. This technology is super-hot and it’s going to play a major role in the future of Software Development. Docker is an open-source container-based technology. It basically separates applications from the underlying OS that it runs on, exactly like Virtual Machines (VM) separated the OS from the underlying hardware that it ran on. Ok, so using Docker, you can build different applications and run them on different machines or different computers or different hosts and make them communicate in an effective & efficient manner. The industry standards usually work on Virtual Machines (VM) to run software applications, but today containers are gaining momentum in the IT world and reducing workload of developers. How? As it is an open- source project that allows you to accumulate and store your code plus its configuration or dependencies into a neat little package- a container, through which you can easily create, deploy, and run multiple applications on one server. A Virtual Machine imitates a computer system which consists RAM, processor etc. Apart from exhibiting characteristics like a physical computer, it provides a functionality to run different OS and application on it. The configurations and resource are backed by physical resources of the host system. A virtual machine is also referred as a Guest and the OS running on them are called Guest OS. The system on which virtual machines runs is called host system. Before we begin with How does Docker work? you need to clear your vision about containers. Containers can be simplified as a solution to the problem of running a software reliably when moved from one computing environment to another. A container consists an application, its dependencies, libraries, binaries and other configuration files required to run a software. Everything is bundled into one package. By doing so, the developer can rest assured that the application will run on anything & anywhere. Docker Containers makes the process of running applications on a server in a very easy manner. With docker based containers you can basically reduce deployment to seconds as these containers has an ability to work on parts of applications that means, if any repair or update is needed in the application with Docker containers you don’t need to take down the whole app, instead you can exclusively work on a part of an application. Both Docker container and Virtual machines have similar isolation and resource allocation benefits. But still, both function differently and have their own advantages. Let us try to understand the potential use cases for both and how one conquer the other. Taking ease of use into consideration, VM gives us a rich look and feel of an exact operating system with a full flash Graphical interface. Tools associated with VMs are simpler to access and to work with. Docker has a complicated ecosystem and requires adaptability to Command line interface. Apart from ease of use, docker has a leg up in all use cases from now. Docker containers do not require a hardware hypervisor to run. The docker engine here fulfills the utility of a hypervisor and can run multiple containers on it. Unlike VMs, Docker containers require far fewer resources to operate. Docker containers are smaller, lightweight and fast to a greater extent as compared to VMs. VMs require considerable amount of time to boot and be device – ready. A container takes few microseconds to start from a container image. Docker open source containers are much more portable in the development pipeline. Their compact and portable feature makes it easier to share across multiple team members for parallel development. Docker has lessened the usage of VMs in major corporations due to its agile benefits like speed and efficiency. It is not correct to say that VMs would vanish one day, rather they would work in parallel with Docker. The easiest way to explain the idea behind Docker technology is to go through its working. We will be explaining its functioning using Docker Hub since it is the most trusted one. Now when you land on the main page, either you can create your own free Docker ID or you can just explore various docker images & pull those lightweight packages according to your requirement. A docker image is used to launch containers. We can create our own customized image. They are lightweight which increases the reusability and decreasing disk usage. We launch a container by pulling docker images from Docker hub. We can package different applications in different containers, according to one’s requirement. Docker Hub offers Docker Store to explore Public Docker Content, where you can discover popular containers, plugins & docker editions. Docker Repositories help you to manage your images at one place. These repositories can be either public or private. Public repositories can be shared with everyone at Docker build community. And private repositories can be shared with your co-workers for parallel development. You will find an option to make it Public or Private or Delete in Settings Menu. Dockerfile is a text document which contains instruction & command about how the containers will be formed. Further, Docker engine read these docker files and build a container according to the instructions mentioned in Dockerfile. Docker provides an isolated environment to all the applications and resources. Each container has its own resources that are isolated from each other. If one no longer needs a container then all its resources can be freed just by deleting it. These resources can be further reallocated to some other container. Once a container is deleted, docker ensures clean removal by removing all the host and configuration files. Each application has its own separate container running on completely isolated stacks. Docker assigns the resources to applications and ensures that each application can utilize only the resources allotted to it. This helps in maintaining the uptime of all the applications avoiding performance degradation. Using containerized platform reduces the deployment time to seconds since it eliminates the need to boot an OS. This platform is capable of managing highly portable workloads with minimum resources. It can dynamically run on a local system, Virtual machine running at a data center, a cloud server or an amalgamation of these environments. Docker handles all the internal configurations and dependencies itself, mitigating the need for manual intervention during the entire development process. Docker apart from providing isolation to different applications also offers effective integration among all these applications. Continuous integration accounts for consistent deliveries of applications. Container-based platform is a homogenous environment from production to testing and QA. A container used for production can be further used by the testing team. This ensures constant testing when multiple streams of an organization want to work in parallel. • Developers developed a code on their native system and distributed the containers with their testing and QA team. • Testing team pulled the container and found some issues. • They fixed the bugs and issues and perform verification and validation tests. • On completion of testing process, the same image is pushed back to the production environment. One of the key benefits of using container-based platform for the production of application is version-control. Containers track the changes to every file or set of files in it so that users can recall a specific version later. This helps in case of need to upgrade the product between product release cycle. Necessary changes can be made to the docker containers, test them and implement them in the existing containers. If in case the upgrade breaks the whole environment you can easily rollback to the previous version. Docker container are lightweight and faster alternative of hypervisor-based virtual machines. Virtual machines need a hypervisor such as Virtualbox to run different applications whereas multiple container can be hosted on one docker engine without any hypervisor. Containers are a brilliant alternative for small and medium deployments with fewer resources. Docker open source containers are highly portable in nature. Almost all of the major cloud providers like Amazon Web Services(AWS), Google Cloud Platform(GCP), Microsoft Azure and Open stack have embedded docker support as their inbuilt functionality. Docker was originally Linux-oriented until fall 2016, after which it was introduced to windows. Soon after the introduction to windows, developers generalized the tools, APIs and image formats for both Linux and Windows for heterogeneous development. Return-on-Investments(ROI) is the most vital management fundamental for every established company. The most optimal solution is the one which can bring down cost while raising the profits. Larger the organization, more infrastructure resources it would require for production. Docker facilitates cost-efficiency by reducing the need of infrastructure resources for production. Docker also diminishes the server cost and the workforce to maintain them. It helps the organizations to generate a steady revenue for a longer period of time. Since Docker open source containers are isolated from each other, it grants total control the users over traffic flow and management. A container cannot look into the process running on some other container. In addition to the default security mechanism, various security tools and plug-ins are available in the market. Image scanners such as Claire are used to protect the container images inside the docker registries. The virtualization drive has taken a boom in the corporate industry. It might have certain drawback to switch into virtual environment but it has plentiful advantages from saving your money to maintaining your business continuity. Docker is one of the pioneer inventions of this virtualization drive. Can Blockchain Resolve Dodgy Ticket Resales?